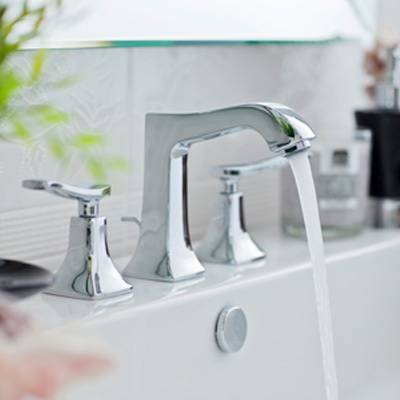 Looking to improve your bathroom plumbing? Alvarez Plumbing serving the Tampa Bay since 1976 offers many plumbing services for both residential bathroom plumbing and commercial bathroom plumbing projects. With more than 40 years in the plumbing business, we have seen it all and can handle it all! Get a written estimate, no surprises. Call Alvarez Plumbing Today! From showers and tubs clogged with hair & hair products, to sinks filled with toothpaste & other grime – bathrooms present their own problems when it comes to drain cleaning. And then there are the toilets, toilet drains are often jammed up with toilet tissue & other non-flushable “items”. If you have young children, you might be surprised at what we find in toilet drains! If you have a stubborn clog that you can’t clear yourself, or the entire bathroom that is clogged, (toilet, sink, shower, and tub) then it is time to call it quits and bring in a professional. From clogged drains to faucet repair, all the way to a toilet repair, find the service you need to get your bathroom plumbing problems solved, the FIRST time. See our list of services.